Everything in this world has a price. Precious and rare earth elements tend to have higher prices. Being a rare earth element, diamond has its price. Not only that, the price of a diamond is severally affected by its quality and brilliance. In addition, the mining and processing of diamonds is a laborious task; involving highly skilled workforce and extensive work. By the time a diamond reaches a retail store, it has gone through a large supply chain. Every step in this chain has a cost. This leads to comparatively high prices for most available diamonds in the marketplace. There are seven main factors that should be kept in mind while comparing the prices of diamonds. These include Shape, Cut, Color, Clarity, Carat, Grading Reports or “Certifications”, and Diamond Fluorescence. Excellence of each of these factors makes the difference in the price of a diamond. There are many shapes of diamonds available in the marketplace. Most common shapes are round, princess, oval, asscher, emerald, radiant, cushion, marquise, and pear. Selecting the shape of a diamond depends on your preference, but it would be the first step in comparing the prices of diamonds. Fancy shapes diamonds e.g. princess, cushion or radiant cut diamonds are up to 20% cheaper in price than similar round diamonds of the same carat weight and clarity. On the other hand, over 80% of all polished diamonds are round as it is one of the most popular cuts in the history of diamonds. Hint, round brilliant cut diamonds are good for investment purposes and can maintain value if bought at the right price. It takes a much larger rough diamond to make a round shape diamond than it does to make a princess or cushion shape diamond, so you really aren't getting the fancy cut stones cheaper! The second important factor in determining the price a diamond is the Cut of a diamond in our opinion. The brilliance of a diamond highly depends on its cut. Not only will it not have the same return of fire, a poorly cut diamond will also look much smaller because of its depth. We have seen cases where a .80ct diamond would look larger than a 1.0ct diamond simply because of its cut. Hint, for maximizing your budget, buy a diamond that's within the very good range; it will give you great fire while also saving you the amount you would have to pay for an excellent cut. However, avoid a diamond that has a very deep or shallow cut. The third important factor is the Carat Weight of a diamond. Carat is the weighing scale for any diamond and the greater the weight, the expensive it is. Diamonds that weigh below a full carat are generally less expensive than ones that are above a full carat. Hint, for maximizing your budget, buy a diamond that is slightly under a full carat e.g. 0.95ct. or 1.90ct. etc. as the price tag is much lower for a slighter smaller diamond than a full carat or two. However, both would look identical in person to the naked eye. The fourth important factor in determining the price of a diamond is the Color of a diamond. Colors of white diamonds range from Colorless to Light Yellow. Being rare, Colorless diamonds are the most expensive ones. There are 22 grades of diamond color from D to Z, D being colorless and most expensive and Z being least desirable that is light yellow or close to Yellow. Hint, for maximizing your budget, buy G-I color diamonds as they look almost colorless and have great brilliance, especially G-H color ranges. For higher color grades (J-K), use rose or yellow gold settings to offset the yellow tint in the diamond. 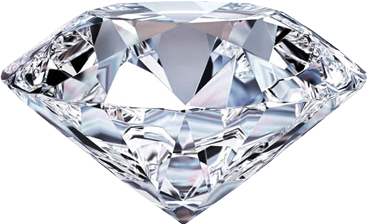 The fifth factor in determining the price of a diamond is the Clarity of a diamond. Flawless diamonds are comparable with diamonds that have “eye-clean” clarity in terms of prices because they are appreciated for having natural birthmarks for authentication purposes (ranging from VVS1-VS2). Eye-clean clarity means that the inclusions are not noticeable with an unaided eye. Clarity grading determines the amount of inclusions within a diamond. Clarity is assessed based off GIA's grading scale that ranges from Flawless or FL to included 3 or I3. Hint, for maximizing your budget, buy eye-clean SI2 diamonds for under 1ct. diamonds and SI1 diamonds for under 1.5ct and VS2 for over 1.5ct.-3ct. diamonds. They will look exactly the same as flawless diamonds, so there isn't any point in paying the extra unless you've room in your budget. Make sure they are eye clean though! The sixth important price determinant is the “Certification” of a diamond. A grading report by GIA or AGS will increase the value of a diamond as these reports will confirm the quality of diamond you are buying – assurance = higher price. Getting diamonds graded by GIA and AGS is also costly. Ungraded diamonds are cheaper; however, we strongly advise against buying diamonds that are not graded. The so called “appraisals” will grade a stone that is I1 in Clarity and J in Color as SI1 in Clarity and G in Color! Hint, never buy an ungraded diamond. GIA is your best bet. HRD is not popular in north America and therefore you might get a good deal on a HRD graded stone - the lab is almost as good as GIA elsewhere. Depending on the type of fluorescence, it can affect the price of a diamond by 5%-20%. Please read our post on Diamond Fluorescence to understand what florescence is and what should be avoided. Hint, buying a diamond with up to medium blue fluorescence might save you up to 10%. It can also make H-I can color diamonds look much whiter! Fluorescence can be a great ally in saving money if done right! In conclusion, while comparing the prices of diamonds, keep the above listed factors in mind in order to get the best diamond within your budget. Knowing these factors will give you great confidence when you are in any diamond market.